Tags: Copyright and music licensing, ISRC. Podcast is a form of web syndication or RSS feeds (stands for “Really Simple Syndication”) which publishes audio instead of text content. Podcast exist where there are content providers and subscribers. The content providers (also known as the “podcaster”) supplies and manages the feed while the users of their content will be subscribing to it. 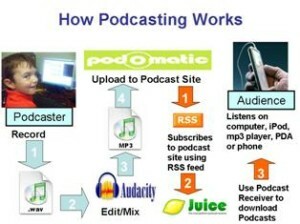 If you are a beginner in podcasting, below is a snapshot of the entire process which is pretty simple. The podcaster creates audio content (of course using a microphone, a computer audio recording system and a recording software and editor. This audio content may or may not be using copyrighted music. This audio content is then finalized for distribution as feeds. So every time the content providers’ releases new song in mp3 format, the subscribers of the feed can get updates in the form of audio player, or other medium to receive podcast. It is almost synonymous with having a radio station, except that podcast relies on updated content than having to repeat old audio streams. It is useful to promote music, typically if you have a lot of potential subscribers, users can get new songs from your feed. 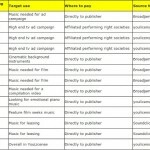 But how about the music licensing aspect of podcast? As to the principle of podcast where there is always a content provider and a subscriber, the content provider may or may not be the owner of the music. If you like to start a podcast, you need to acquire rights from the music publisher of the songs you are including in your podcast especially if they are copyrighted. This will avoid any possible copyright infringement issues. 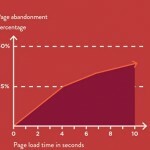 It is highly important to clear right with a music publisher before podcasting it. Typically, music publishers can be very happy to know about this but still you need to ask permission. It is because music publishers need to know who uses the song for podcasting projects for documentation purposes. It would be very unfair if the podcaster is making lots of money and is paying nothing to the publisher or the songwriter of the song.